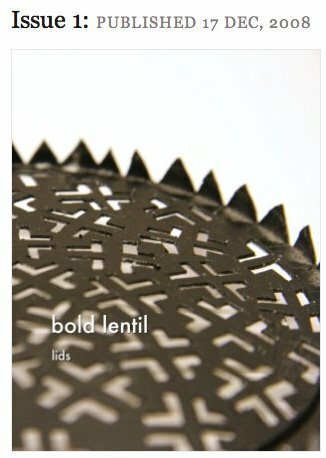 Bold Lentil: The Medium is a Mess, eh? The Medium is a Mess, eh? The cutting board was about to be thrown out. The yogurt had been eaten. The lid was sitting to go out with the recycling. An x-acto knife was out for some reason. The lid cut like some kind of polymer. Soon there was one box with washed, used lids and another box with carved, sometimes spray painted lids. Now there's a magazine of carved lids.